Grace Roots Blog: Do We Need to Preach the Law to Lead People to Christ? Do We Need to Preach the Law to Lead People to Christ? The above verse has often been used to promote the idea that we need to preach the law to unbelievers in order to lead them to Christ. But is that really true? Do the people of the world, especially Gentiles (everyone who isn't a Jew), need the Jewish law to be preached to them to show them their need for the Savior? 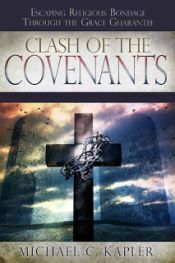 It's important to know some basic things about the Law (the Old Covenant) and to whom it was given (and why), and since the church has been mixing the old and new covenants for so long, it really can be confusing to try to work through things like this. So I like to back up and take a look at things from the perspective that the Jews and Gentiles in Bible times would have seen things in (as best as I can) to clear things up and get a better understanding of this. The Jews would have (obviously) known that they are the ones who had the law, and they knew the Gentiles of the world were excluded from it and that they probably had no clue what was written in it. So when it came to understanding the gospel of Christ, and the need for faith rather than the works of the law, Paul and the other Jewish apostles could tell the Jews, in essence, "Hey, look at our own law! Don't you get it? We've tried for hundreds and hundreds of years to keep it, but we've only ended up falling way short of it! This is why we need Christ, our Messiah." (See Acts 15:5-11, Rom 3:19, Heb 8:8). But to the Gentiles they couldn't say that. "Law? What law? How could I know that I've fallen short of God's law when I didn't even know it existed?" Or, "How could the law point me to Christ when I was excluded from it and didn't even know what it said?" He says all this to show the Jews just how serious the law was, and that they shouldn't be judgmental and self-righteous just because they have the law. They are only fooling themselves, because they fall short. In fact, he goes on to say that "ALL" (both Jew and Gentile) have sinned fall short of the glory of God (Rom 3:23). So in the end, whether it's the Jew who has the law or the Gentile who doesn't have the law, they all fall short and can only be saved by grace, through faith. So how does the Gentile then understand their need for the Savior, if not by law? Again, it's through their own conscience. Romans 1:19 and beyond says that what may be known of God has been revealed to everyone. It's all clearly seen through creation. Everyone has a general idea of "right and wrong," but... they "suppress the truth in unrighteousness." (Rom 1:18). "Although they knew God, they did not glorify Him as God..." (Rom 1:21). If we read the list of "ungodly" and "unrighteous" behavior that Paul goes on to write about in the rest of Romans 1, these are all things that most Gentiles would agree are "wrong." Internally, people have a sense of right and wrong, even if not everybody agrees on the specifics, and even if not everybody cares what's right or wrong. So, while the Jews had a specific set of laws that turned out to be a tutor that would lead them to Christ, I don't think the law was ever meant to show Gentiles their need for the Savior. Most people would agree that they have "good" and "bad" in them. What we really need to show them is that the gospel reveals that their good isn't good enough to make them right with God and their bad isn't bad enough to keep them out of God's grace shown to us in Christ Jesus. Now even with all of that said, in today's world there is enough of a familiarity, even among Gentile unbelievers, with this thing called God's law or "the Ten Commandments," that I can see how it would be possible, on rare occasions, to use it as a "tool" (or a "tutor") - particularly among self-righteous people or people who somehow think that their good deeds are enough for God - to show them that even with all their goodness, they still fall short and need the Savior. But for the most part, it's my feeling that most people 'get' that they've fallen short somehow, and our job really is to simply tell them the good news of Jesus Christ! The Law has a single function; to lead men to a knowledge of their sins. This knowledge of one's sins leads to repentance, which is the recognition of one's need for a Savior. I would add that the Law is also to be preached to pharisees, self-righteous, and moralists. I get your point that most people already recognize their sinfulness, but I think we can be deluded. The unchurched are deluded in that they hope to be graded on a curve. The Law helps remove that false hope, showing the absolute perfection that God demands. The religious are many times deluded by self-righteousness. They actually believe that they are being good enough on their own. Again, the Law is there to shine the truth, lead men to the end of themselves, and show the need for a Savior. This is exactly why Jesus gave more Law to those who thought they were making it. In both instances it's the "cheap law" problem. "Contrary to what some Christians today would have you believe, the biggest problem facing the church today is not 'cheap grace' but 'cheap law' – the idea that God accepts anything less than the perfect righteousness of Jesus… Only when we understand that God’s law is absolutely inflexible will we see that God’s grace is absolutely indispensable… A high view of the law produces a high view of grace. A low view of the law produces a low view of grace." bb, What you're saying goes along with what I said in my last paragraph, so in a way I do agree with you here. There is enough of a familiarity with the Law of Moses in today's culture, that I think the law can be used in the ways you mentioned here. However, I believe that the law was never actually meant to be used with Gentiles, as they had no clue what the law said. They were completely excluded from the Old Covenant and everything that went along with it. Paul's message to the Gentiles was not about showing them their sin through the law, but rather it was about showing them that although they were once "far off" and "aliens from the commonwealth of Israel," they have now been "brought near by the blood of Jesus" (see Eph 2:11-13). The Jews came to Jesus through seeing that they couldn't even keep their own law that they boasted in, and the Gentiles came to Jesus through the message that they could now be part of God's family by grace through faith. For the Gentiles, it had nothing to do with law. Another way to ask your question would be, "What if an unbelieving Gentile 'suppresses the truth in unrighteousness?'" (see Rom 1:18). The answer is, "they are without excuse" (Rom 1:20), because "since the creation of the world His invisible attributes are clearly seen, being understood by the things that are made, even His eternal power and Godhead." Gentiles consist of most people who have ever lived. The law was given to a tiny minority of the human race. Most people who have ever lived have never even heard the law of Moses. In our 21st century mindset, with the printing press having been invented, and typewriters and word processors and computers, etc, there are Bibles-galore in the world, and we can't imagine a world in which almost everyone has some kind of knowledge about what the law of Moses says. But up until that all started, the law of Moses was copied only a few times, and it was read mainly in synagogues, by and to the people of Israel. That's because the law was exclusively for them, and not for the rest of the world. I could go on about all that, but the main point is that yes indeed, the Gentiles need the Savior (as I said in this post), but they don't come to the Savior through the law, as the Jews did. "What may be known of God is evident within them; for God made it evident to them" (Rom 1:18 NASB). The problem isn't that they don't know what is righteous and what isn't. The problem is that they "suppress the truth in unrighteousness." And again, they are "without excuse." Correction: The middle part of my second paragraph above should read something like "we can't imagine a world in which almost everyone has little or no knowledge about what the law of Moses says." For what seems like such an obvious, basic concept, this is completely new to me. I'm just trying to process it all. I will readily admit that I didn't come to all of this overnight. :) It's been a matter of several years of reading and studying and talking things over with people, and as I've done this I've begun to see that the whole Jew/Gentile thing is pretty huge in the scriptures, as well as the difference between the Old and New Covenants, and now I always read the scriptures with all of this in mind. You say "What we really need to show them is that the gospel reveals that their good isn't good enough to make them right with God." Apart from the Law, how do we do that? How do you prove or define "suppressing the truth in unrighteousness?" After reading the sermon on the mount, it's easy for me to see that the Law is unattainable. I'm not seeing the same thing apart from the Law. I believe you're right, that much of what I would call "common morality" is subjective. As I noted in the original post, I don't think all people agree on every single aspect of what is right and what is wrong, but most people do have some sort of a sense that they're not "perfect" when it comes to their own morality, so it's really not that hard to share with them the understanding that everyone has fallen short. I don't think it's a common thing to find people who think that they've somehow reached a place of sinless perfection before God. :) But even with the slight chance that that could happen, it's not our job to convince anybody of that. We can share with them the overall message that "all have sinned and fall short of the glory of God" (Rom 3:23) and then present them with the good news of the gospel, which is the next part of that verse, "being justified freely by His grace through the redemption that is in Christ Jesus..."
In Paul's epistles, when he's talking about Jews and Gentiles, for the most part he's trying to explain to the Jews that just because they have the law, that doesn't mean that they're automatically "in," and he's trying to show them that just because they consider the Gentiles to be "sinners," that doesn't mean that God can't justify them in exactly the same way that He justifies the Jews - by grace through faith. So with that said, when it comes down to it, sharing the gospel isn't about getting people to see that they're sinners (unless somehow they're in the minority of those who really just don't 'get' it) but rather it's about showing people that God justifies people and brings them into His family through His saving grace. Now there is somewhat of a misunderstanding of salvation out there, in which people do understand that they have been both "good" and "bad," and they think that somehow their "good" is good enough for God. All we really need to tell them is that the gospel shows us that it's not about our good and bad. It's about Christ's finished work. That's why I wrote the line about showing people that their good isn't good enough to make them right with God. It's not so much about giving them some standard by which to measure themselves, but just to make the point that the gospel isn't about how good they are. All the "law" talk, all the Sermon on the Mount talk, all the "perfection" talk... was to the Jews, not Gentiles. And this is simply because it was to the Jews that the law was given. "Why, then, was the law given? It was given alongside the promise to show people their sins," I have trouble understanding why God would give the law to show sinfulness to one group of people and not to another. Does the Bible give any explanations for this? After the Lord your God has driven them out before you, do not say to yourself, “The Lord has brought me here to take possession of this land because of my righteousness.” No, it is on account of the wickedness of these nations that the Lord is going to drive them out before you. It is not because of your righteousness or your integrity that you are going in to take possession of their land; but on account of the wickedness of these nations, the Lord your God will drive them out before you, to accomplish what he swore to your fathers, to Abraham, Isaac and Jacob. Understand, then, that it is not because of your righteousness that the Lord your God is giving you this good land to possess, for you are a stiff-necked people. bb, Indeed the Bible is chock full of explanations of this. The problem is that we are looking at every single page in the Bible as if it is all about "us" (Christians), when so much of it (especially the Old Testament) has to do with Israel and their part in God's big plan. To keep this simple, I'll stick with a few examples of what the NT says about the OT. Romans 1 and 2 (as well as several other parts of Romans) is absolutely huge in understanding the backgrounds of the Jews and Gentiles. The Jews and Gentiles of the day understood it, but we today have mixed the covenants and don't really have a clue. :/ Like I said in my last comment, Paul tells the Jews that just because they are the ones who have the law (and the Gentiles don't have the law, that doesn't mean that they are automatically "in." Right there, that shows us that it's the Jews only to whom the law was given. In Chapter 3 this thought is further impressed upon us, as Paul writes, "What advantage then has the Jew, or what is the profit of circumcision? Much in every way! Chiefly because to them were committed the oracles of God." (He then goes on to further explain his main point, that "all" have sinned and fall short of the glory of God. The Jews thought that because they had the law, they were "in," and the Gentiles were "out" because they were "sinners." Paul showed them that both (Jew and Gentile alike) could be justified in the one and only same way: by grace through faith. "Therefore remember that you, once Gentiles in the flesh — who are called Uncircumcision by what is called the Circumcision made in the flesh by hands — that at that time you were without Christ, being aliens from the commonwealth of Israel and strangers from the covenants of promise, having no hope and without God in the world." There's plenty more Jew/Gentile talk in the scriptures, but hopefully this helps at least a little to show that the Jews had the law and the Gentiles were far from it. Again, it's Romans 1 and 2 that shows how the Gentiles operated apart from the law. "I never needed to know I was a "sinner" to see the goodness of God, but once I saw the goodness of God, I knew I did not meet the mark. Then Grace came in. The rest is history." Wow, I love that bb, makes sense too biblically. We exalt The Lord and all His goodness and people will see for themselves. So many really focus on convincing people that they are sinners and their pride rises up and they miss the goodness of God, trying to save face instead of reaching that humble place where grace swoops in. Awesome! I like that! I think that's a good summary. Love the comments! Great ministry too!!! I also like what bb said firstly about "cheap Law" which gives me chills just saying that, in the sense where gentile believers are put under the Law and it just deflates the impact of grace. They think they are somehow observing law and are missing out on the life-changing grace experience. I got saved 14 years ago by the New Covenant grace gospel and I still get over-whelmed with wonderful tears of gratitude. If I thought I was earning it even one drop I'm sure my experience would be much different. Amen, Blake! If we think any of this is earned by us, our experience truly would be a lot different. Rather than resting in Christ's finished work, we'd be struggling to try to maintain this thing by ourselves! Thank God for His grace!